After much deliberation, these are the final shortlisted submissions for the Experience Africa category. Find out more details about your favourite submission here. 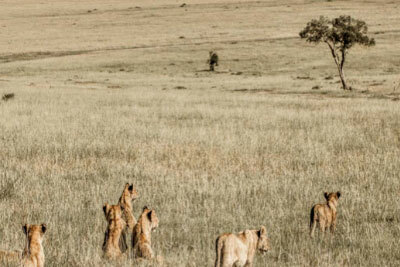 Connecting the Serengeti with Entebbe, Kigali and Masai Mara, in order to widen the safari circuit for any tourist coming to the region. Odzala Discovery Camps has been operating camps in the Congo Basin since 2012 and in 2019, Congo Conservation Company (CCC) launched the first journeys connecting Odzala-Kokoua National Park in Republic of the Congo by creating a new access route to the Dzanga-Sangha Special Reserve in Central African Republic for new 10 and 11-night Discoveries. 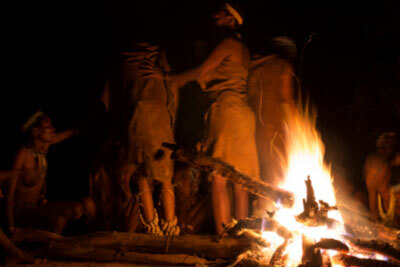 We needed to bring the very best and most experienced shamans from the Ju/hoasi tribe of Khoi San endemic to this region, together at their traditional cultural birthplace, for a “one-night-only” healing trance dance under the light and power of the full moon. The Safari Collection have launched a new educational and inspiring safari adventure for families. Children are captivated by journeying into the actual ‘Pride Lands’ to meet the Lion King’s characters in real life including Simba’s pride, Zazu the hornbill, Pumba the warthog, and Ed, Shenzi and Banzai the hyenas. 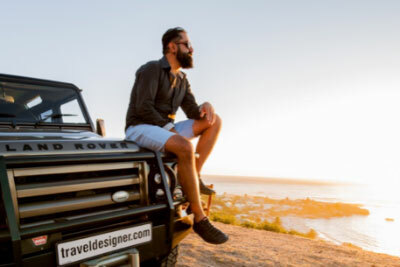 At Travel Designer we have launched a Cape Town Legends project that allows us to bring together extraordinary people, our kind of people, that would otherwise not have the opportunity to meet. The Rubondo Island Chimpanzee Habituation Experience is a rare opportunity for guests to join a habituation team as they accustom chimpanzees to the presence of humans, gaining a unique first-hand experience of conservation tourism. But Rubondo is no ordinary island, and these are no ordinary chimpanzees. Declared a sanctuary for wildlife in the 1960s, German zoologist Bernhard Grzimek relocated elephant, giraffe and chimpanzees to the island. He rescued 16 chimpanzees from European circuses and brought them to Rubondo where they quickly adapted back to life in the wild. Asilia’s three-night habituation experience begins with a night at Rubondo Island Camp. The next day guests join the chimpanzee habituation team. 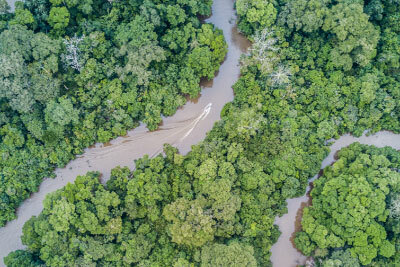 En-route to the chimps, Rubondo’s forest is full of life – sitatunga, bushbuck and elephant, over 40 species of orchid and a colourful array of butterflies – some call this Jurassic Park without the dinosaurs! Chimpanzees share 98% of DNA with humans and an encounter with our closest relatives is both exhilarating and humbling. 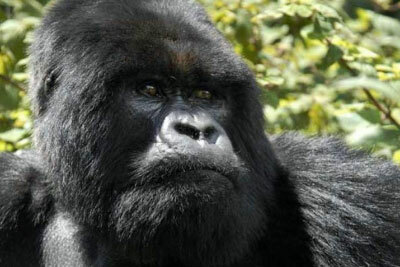 At Rubondo guests can be part of the team that is habituating our closest relatives so sightings are not guaranteed – but to be involved in this process is a rare opportunity to be part of conservation in action. After a day with the chimp habituation team, tracking the chimpanzees but also learning about the habituation techniques and research, guests spend the night sleeping out in a “fly camp”. Listen to the sounds of the jungle as you drift off to sleep after a day in the forest. Giraffe numbers have plummeted from 140,000 in the late 1990s to less than 80,000 today. In the past 30 years, giraffe have become extinct in at least 7 African countries. This dramatic loss has gone largely unnoticed – a silent extinction. The main threats are habitat loss, habitat fragmentation, disease and, increasingly, illegal hunting/poaching. At the crux of all this is human population growth in Africa and the demand for land. This GIRAFFE CONSERVATION – ‘Saving Africa’s giraffe from the silent extinction’ focussed safari affords guest the opportunity to spend time with Dr Julian Fennessey of the Giraffe Conservation Foundation (GCF) in Namibia’s remote North West. Julian is considered Africa’s authority on giraffe and giraffe conservation, and orchestrates the perfect themed safari, ranging from giraffe ecology and conservation to misconceptions regarding these highly threatened animals. The highlight of the safari is spending time in field with Julian, giraffe conservationists and vets, whilst partaking in a complex giraffe collaring operation, which is necessary for research and monitoring. Giraffe are immobilized and fitted with radio collars, guests forming an integral part of the ground team during this operation. This safari also focuses on a number of other conservation projects, including the AfriCat Foundation and Save the Rhino Trust. Hugely pertinent to conservation in Africa at the moment, this safari promises to engage, educate and encourage guest participation in becoming part of the solution, whilst raising ZAR 250,000.00 per departure for the GCF. A life enriching experience and more than likely an once-in-a-lifetime opportunity. See the Cape from a new perspective: Why spectate when you can participate? With Escape+Explore’s dynamic Private Cape Adventures, Cape Town’s splendour offers a wealth of experiences for tourists and trailblazers alike. What makes us different? Imagine being whisked off in your private Adventure Utility Vehicle (AUV) fully kitted out with everything you need for a full day of explorations. Equipment is supplied, with gourmet pantry and full refreshment bar on board giving freedom to roam. Families love our mini-adventure equipment, toy box and travelling nanny. Specialist guides include game rangers from Africa’s top game lodges, sport champions, and pioneering expedition leaders – all have superb knowledge in their fields. We’ll take you Stand-up Paddling at the southernmost point of Africa, surfing off the Peninsula’s secret beaches; cycling through Constantia Valley’s historic wine farms; and hiking on Table Mountain. Local knowledge, your enthusiasm and the weather conditions on the day shape the endless possibilities to create your very own Cape adventure. Our mission is to experience the Cape’s beauty just the way you want to. Become enveloped in this natural kingdom, feed your soul and pump your adrenaline levels sky-high. Why watch the Atlantic Ocean when you can immerse yourself completely and snorkel, surf or SUP? And why stare upwards from the foot of our mountains when you could hike or mountain bike to the top of the world? See Cape Town from a local’s perspective – far from the usual tourist routes. It’s a feeling that will stay with you forever.